Novomar d.o.o. 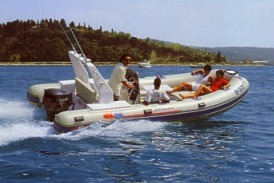 has been designing and manufacturing boats and other technical accessories of rubberized cloth for 10 years. Our professional expertise is based on the state-of-the-art technology, which is the key to the success of our company. Today, Novomar is present in the field of nautics, providing a broad range of models for inflatable boats. The offer includes simple boats as well as technically advanced vessels for particular operations and tasks at sea. All the products are highly competitive and comply to the specific requirements of the European market. On the basis of long-term experience and with technical assistance of suitably qualified and trained staff, we provide an extensive scope of services from designing to the construction of technically advanced products and special equipment by applying innovative solutions. Our company has built up a notable reputation on the domestic market as well as abroad and while doing its best to meet the expectations of our clients, Novomar has gained their confidence. - quality of boat construction. 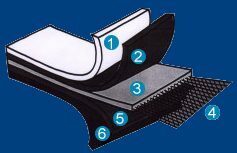 For the manufacturing purpose, rubburized (hypalon - neopren) cloth is used. Due to the combination of elastometers, composed of several layers by using a special procedure (calandratura), the rubberized cloth is of top quality. The outside part of the rubberized cloth is Hypalon-coated, which enables better resistance to mechanical and chemical injuries and UV protection. The rubberized cloth is well recognized due to its endurance and absolute durability. In their basic design, inflatables are of grey colour. The accessories are available in red, blue, green, yellow and white colour. The “ELEGANCE” line is designed in white with a combination of grey accessories.